The first thing you can do is to see if there is an unusual rise in your water bills. Check your water meter if there is an unexpected fluctuation in the water consumption in your premise. Make sure that all the taps and showers are closed and that water is not being consumed in your house. Next step is to check water meter to find out whether or not it is moving. If the water meter is still, nothing is to be worried about. If it is moving, there is something wrong. A water leak can occur either inside or outside your house. In order to find this, shut off the main water valve which is usually located in the basement or garage. Once the main water valve is shut off, again check the water meter to see if it is still moving. Chances are that the leak is outside your building if the matter is moving. If the meter is still, the leak could be inside your house. Water stains and mold on the ceiling, walls, and floors make a water leak more evident. The cabinets under sinks should also be inspected for discolored areas. The water hoses connected with washing machines is also a common area where leaks occur. Water leaks also create an odor which is a sign of a broken pipe in the wall or ceiling. There is a number of fixtures: water tank, flush valve, sinks, network of pipes, taps, etc. that form a plumbing system. An ideal approach is to regularly inspect all the reachable fixtures to see if everything is alright. Old and corroding fixtures ask for trouble. 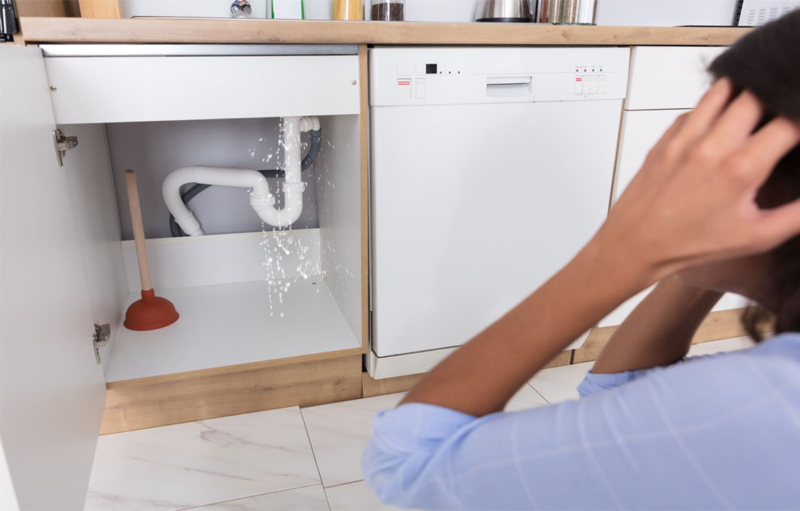 Once you are sure that there is a water leak in your premise, consult a dependable plumbing company immediately to fix the issue. It is recommended to carry out a thorough plumbing inspection after 6 months or once in a year to ensure that there is no sign of trouble.